Whether you’re just getting started or are an avid athlete, we all should listen to our bodies when it comes to working out. There are so many variables that come into play when exercising: weather, sleep, nutrition, time of day, stress level… it all shows up in exercise! There are some days where you will crush a workout and other days where you feel like you’re dragging your feet. That’s totally normal! 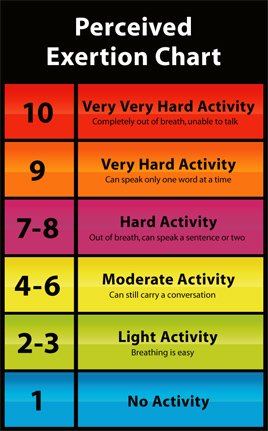 And, it’s important to recognize this and adjust your workout accordingly. This will help you keep from overtraining and avoid injury. 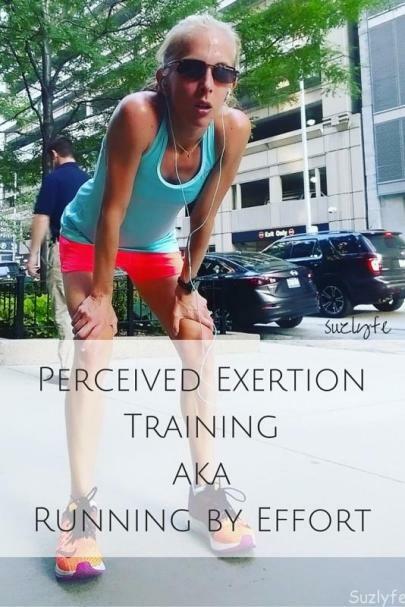 Perceived Exertion is how your body feels during a workout. Whether you feel like, “I’ve got this all day long” or “oh my gosh, this is torture!” The funny part is the same workout can feel like both ends of the spectrum depending on the day. So, rather than push through the pain or fatigue, it’s better to adjust your exercise accordingly. That makes it a powerful tool forauto-regulation, which is the adjustment of your training based on your body’s real-time response to an exercise or workout. This shows up for me, personally, in my running. I’m currently training up for my second full marathon and tend to run 3 days/week and functional cross-train 2 days/week. There are some days where I can run like the wind – it’s easy, I don’t even think, just go! Other days it’s as if I’ve never done it before and I feel clumsy and exhausted. I’ve learned that certain things really affect my Perceived Exertion, especially the music I listen to, weather, and being in a group atmosphere. If I choose slower music to run to, I typically steady out or even improve my pace… it FEELS easier. If I choose peppier music, I feel tired faster. With training in the brutal Texas heat, I try not to worry about my pace as much. Knowing that just getting out there is hard, but it will FEEL easier as the weather cools down. Also, in a group workout, I tend to push harder and listen to my coaches cheering us on. On my own, I would probably take a break or quit. Sometimes that is the right thing to do, other times it’s the mental state we are in but can push past. stamina, even if your pace varies from day to day. Also, if you’ve noticed a plateau in your fitness, you may need to push a bit harder to get to the next level. It could mean that your body has become comfortable with that exercise. Introducing a new challenge, like a harder Perceived Effort (higher weight, faster pace, or a different workout altogether) will typically take you there. Listen to your Body in each workout! Give yourself grace if it’s a tough day and adjust accordingly! Any workout is better than none! 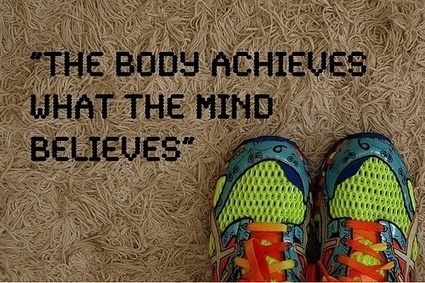 Exercise is mostly mental so choose something that feels good! Dr. Andrea at Lakeway Spine Center offers complimentary consultations. Click here to request an appointment.